The faculty of Languages and Translation held a seminar on the French Cultural Centre in Alexandria: its activities, courses and scholarships provided for students of master’s and PhD degrees. The seminar was given by Ms. Morgane Hoarau, a delegate of the French Cultural Centre in Alexandria to promote cooperation between the Egyptian and French universities. 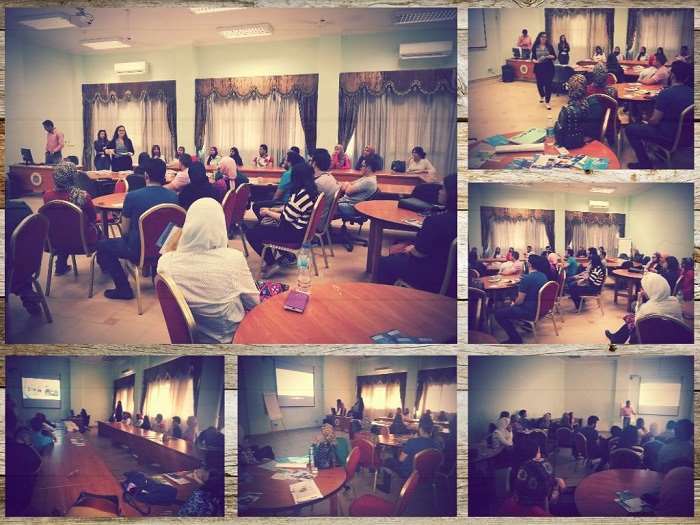 This was held on Thursday 3/5/2018, in the presence of Prof Leyla Kamel, the Dean of the faculty of Languages and Translation; Prof. Nadeya Aref, the Head of the French Language Department, along with a considerable number of students from different faculties. The coordination of the seminar was managed by Dr. Nermeen El Sawy, a Coordinator of the PUA- Francophone Institutions relations.